my absolute collection: Happy 30th Anniversary! 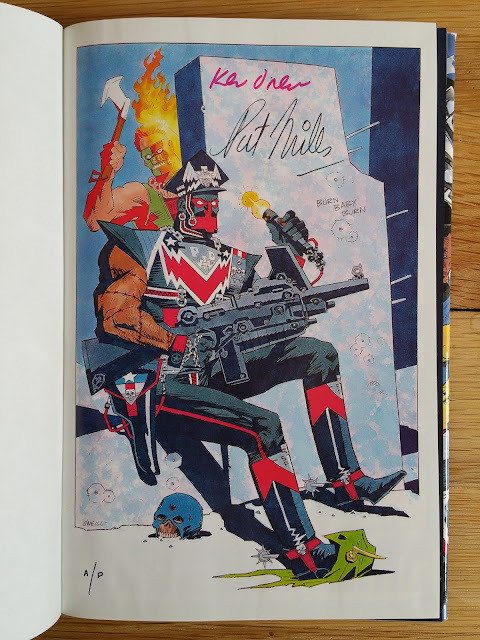 This is not a new article, but just my way to celebrate my favorite comics character, written by my favorite writer, and illustrated by my favorite artist. Last August has marked the 30th anniversary of the first Marshal Law comics (issue #1 of the Epic Comic series), and the very same month I was able to put my hand on an A/P copy of the Graphitti Designs limited signed edition described here. Interested to know more or to dig deeper into the series/character? Marshal Law has is own Facebook page and his own dedicated blog/site.